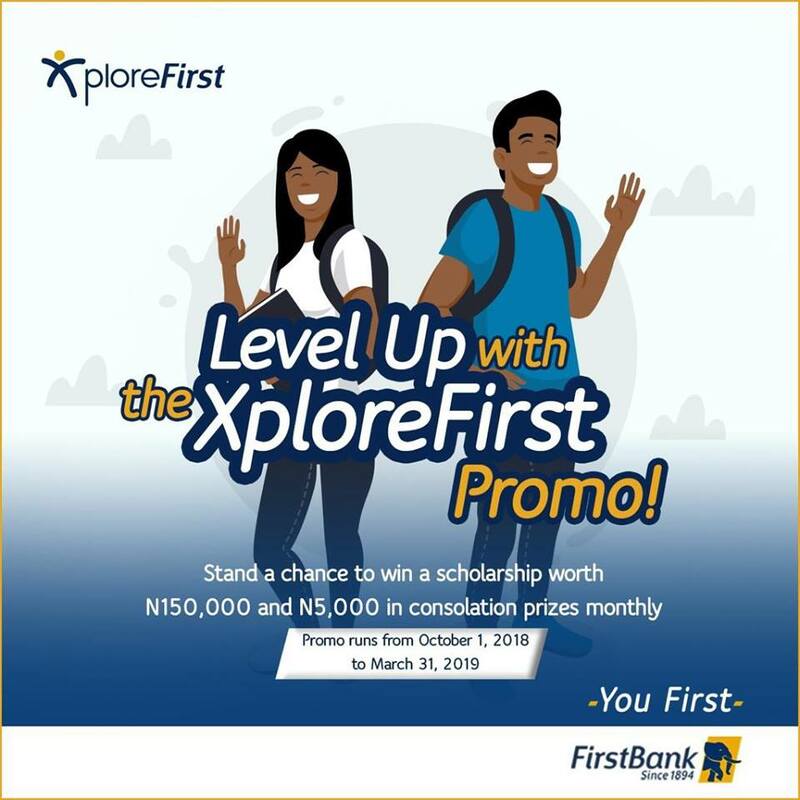 First Bank Xplore First PROMO !!! Take charge of your future by opening an XploreFirst account. All you need is to maintain a minimum balance of N10,000 monthly and stand a chance to win. N150,000 worth of scholarship in the final draws. So hurry, top up your XpolreFirst Account or walk into the nearest branch to open one. Visit https://www.firstbanknigeria.com/personal-banking/savings-accounts/xplore-first/ to learn more about the XploreFirst Account. Promo runs From October 1st 2018 to March 31st, 2019. Level Up With XploreFirst Promo! 18 Account holders will win a scholarship award of N150,000 each. 180 Account holders will win consolidated prizes of N5,000 each. Maintain a minimum monthly balance of N10,000 to qualify for the purchase of airtime/data.